The AFDCS offers an award to any APS World Series of Philately (WSP) show and to AmeriStamp Expo where there is one or more first day cover exhibits entered in competition. Non-WSP shows may request a ribbon to award to the best FDC exhibit. Awards will only be mailed to those shows that request them. Requests should be made to the Awards Chairman (contact information below). The AFDCS award is to be presented to the exhibitor determined to have entered the best first day cover exhibit in the show regardless of AFDCS affiliation. Youth exhibits also are eligible. The AFDCS award is in addition to any show medal or other special award that the exhibit may earn. The exhibits must contain at least 75% FDCs or FDC-related material, such as ceremony programs, souvenir pages, post office announcements, production cachet design, artwork, etc. 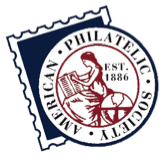 as indicated in the latest edition of the APS Manual of Philatelic Judging and Exhibiting. 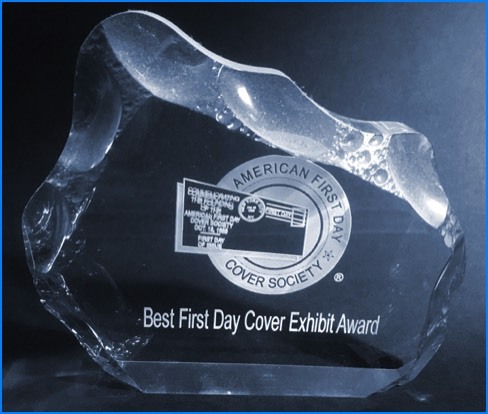 The manual provides exhibiting and judging guidelines for first day cover (Illustrated Mail) exhibits. The AFDCS award should be listed wherever the show committee itemizes special society awards (e.g. the prospectus, show program, show website, etc. ).